MANCHESTER UNITED are on the verge of completing the signing of AntoineGriezmann, according to reports.The Manchester Evening News say sources close the player have told them a summer transfer is now on the brink of going through. 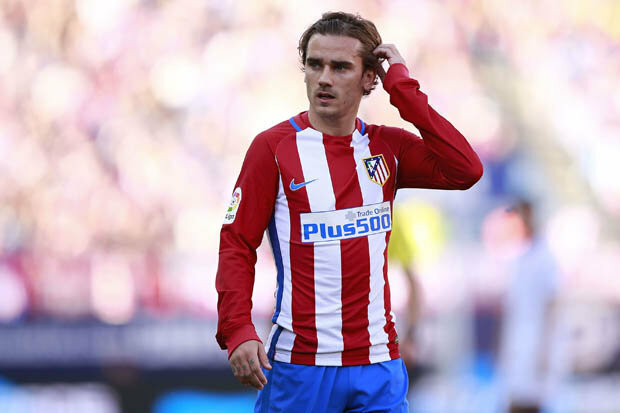 Jose Mourinho is prepared to trigger the Atletico Madrid striker’s £85m release clause and Griezmann is keen. United want to continue backing Mourinho and that fee will be no problem for one of the richest clubs on the planet. The Red Devils broke the world transfer record to bring Paul Pogba to Old Trafford last summer and they will go close to matching that in the summer. Earlier today Atleti boss Diego Simeone admitted he would not stand in the Frenchman’s way if he wanted to go. He said: “There is a release clause and there are no guarantees. “From here on in, I don’t know what can happen. “He would never let me tell him to stay. “I did not do it with [Diego] Costa or [Radamel] Falcao. “To the players who have given me life I accompany them in the decisions that they make.